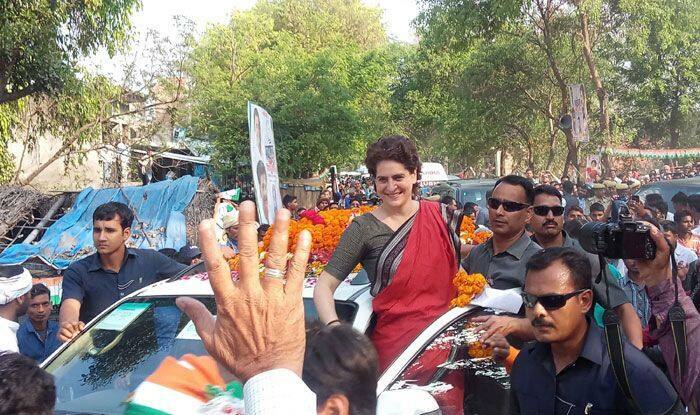 Priyanka Gandhi has reportedly agreed to contest from Varanasi Lok Sabha seat, which will vote on May 19. New Delhi: Congress general secretary for Uttar Pradesh East Priyanka Gandhi Vadra might be pitted against Prime Minister Narendra Modi in the Lok Sabha elections. Zee News sources said that Priyanka is likely to contest elections from Varanasi Lok Sabha seat, which was won by PM Narendra Modi in 2014. According to reports, Priyanka has agreed to contest from the parliamentary constituency after serious considerations and the final decision will be taken by the party High Command now. Varanasi will go to polls on May 19. Priyanka had also said that she will contest the forthcoming Lok Sabha elections if the party leadership asks her while adding that she has been given the key task of strengthening her party in the state. “If my party asks me to contest the polls, I will definitely do so. But my personal wish is to work for the party’s organisation as a lot of work needs to be done,” the Congress leader had said at a media interaction in Lucknow. Polling in Rae Bareli will be held in phase 5 on May 6 while Varanasi will go to polls on May 19 in the last phase. The counting of votes will be held on May 23.